Having being impressed with the versatility, reliability, fuel economy and the performance of their first CASE CX130D excavator, premier golf course constructors John Greasley Ltd have taken delivery of their second, fitted with a Rototilt R4 tiltrotator and supplied by CASE dealer Robert Coates Plant Sales Ltd.
Based in Uttoxeter, John Greasley are one of Europe’s leading golf course building specialists with over 30 years’ experience constructing new and reshaping existing golf courses, working with the world’s leading industry professionals. CASE has an equally strong pedigree in manufacturing high-quality excavators and continues to impress with its Tier 4 Final, D Series range, renowned as among the very best in the market when it comes to controllability and performance. All CASE’s D Series excavators are Tier 4 Final compliant and benefit from CASE’s maintenance-free SCR solution, which requires no Diesel Particulate Filter or regeneration, resulting in maximum uptime and lower operating costs. The versatility of the CX130D is a key factor for John Greasley. The machines are used for general construction and for more precision work. 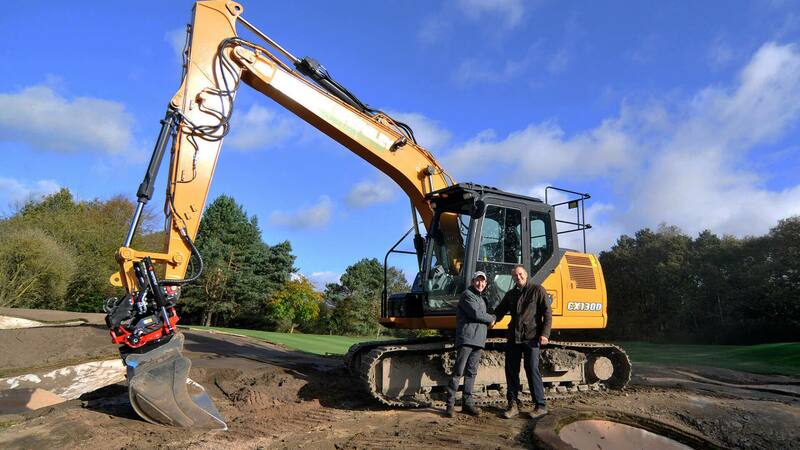 Due the smoothness of operation from CASE’s Intelligent Hydraulic System, the Rototilt R4 works in perfect harmony with the CX130D, for reshaping bunkers and landscaping. This also helps to reduce costs on aggregates and infill, making it an extremely cost effective machine. 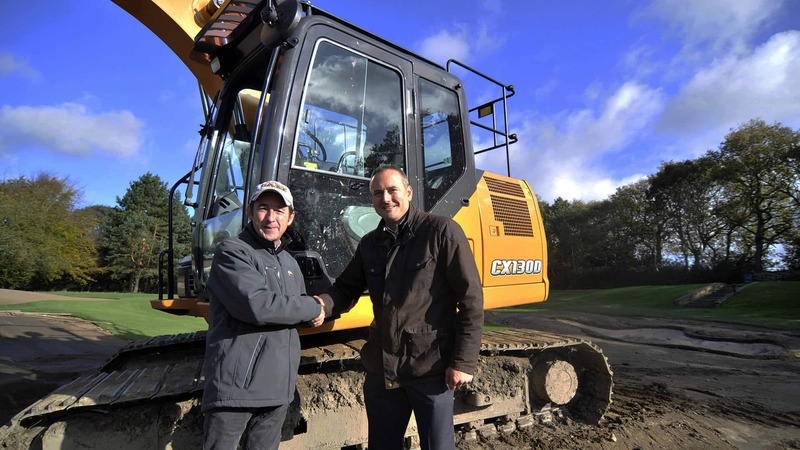 John Greasley purchased their first CX130D, which was also fitted with a Rototilt R4, after seeing the machine at Hillhead. “We saw it in action and we liked its smoothness of operation,” said Charlie Greasley (title) from John Greasley. “After the show we contacted our local CASE dealer Robert Coates Plant Sales in Talke, (Stoke-on-Trent) who arranged for us to take the machine, complete with the Rototilt R4 on a week’s demonstration.